Home / Politics / Opinion / Is Zimbabwe’s 90 Year Old Robert Mugabe Fit for African Union leadership? 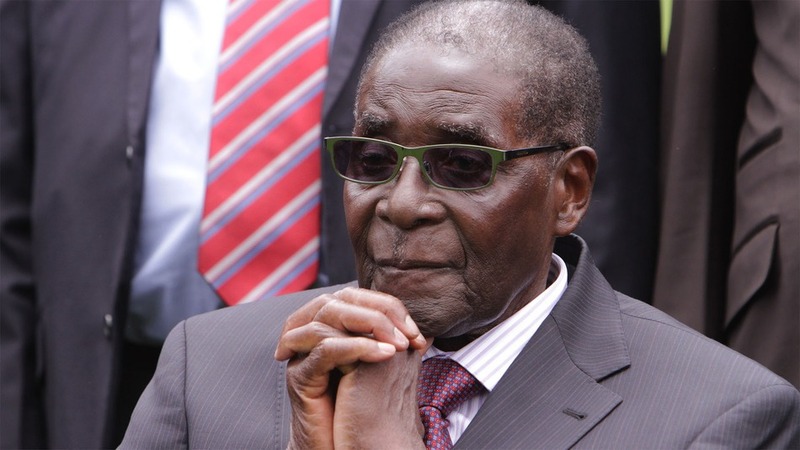 Is Zimbabwe’s 90 Year Old Robert Mugabe Fit for African Union leadership? Mugabe succeeds Mauritania’s President Mohamed Ould Abdel Aziz in the role, despite the fact that international human rights organizations have repeatedly criticized him for failing to address abuses in his home country. Mugabe first came to power in 1980, becoming prime minister when Zimbabwe gained independence from Britain. Since that time, he has been a controversial figure both at home and abroad. Mugabe is applauded by some for his nationalism and anti-colonialist policy, but others have condemned his human rights record. On the eve of becoming chair of the AU, Mugabe was already drawing criticism for remarking, “It’s not possible that women can be at par with men” while in Addis Ababa for the summit. The theme for this year’s summit is women’s empowerment. Mugabe has been president of Zimbabwe since 1987. The once-prosperous country has struggled since his administration began seizing white-owned farms in 2000. Mugabe won a seventh re-election in 2013 in a national campaign marked by allegations of corruption. Foreign investors have been deterred by concerns about corruption, as well as government policies that force foreign-owned and white-owned businesses to cede 51% of their shares to black Zimbabweans. Hundreds of manufacturing companies have closed in recent years. International human rights organizations have long denounced Mugabe’s policies. A new report on Zimbabwe from Human Rights Watch (HRW) criticized Mugabe for continuing to “violate human rights in 2014 without regard to protections in the country’s new constitution.” HRW also denounced his administration’s “lack of accountability” for past human rights abuses in Zimbabwe. “The government has failed to ensure justice for victims more than five years after the 2008 politically motivated violence,” the report said, referring to Mugabe’s ruling Zimbabwe African National Union – Patriotic Front (ZANU-PF) and state security forces’ violent rampage during that year’s elections. The ZANU-PF crackdown, called “widespread and systematic” by HRW, led to the killings of up to 200 opposition supporters and the beating and torture of 5,000 more. Amnesty International said on Friday that Mugabe should use his leadership to address human right’s abuses across Africa.